As militaries and security forces grapple with complex environments where a whole spectrum of threats need to be anticipated, having a dependable protected vehicle can’t be overlooked. With mine-resistant trucks falling out of favor due to their weight–lighter and more agile vehicles are fast becoming the norm–the proven characteristics found among older models should see them revived. Pickup trucks rebuilt with bulletproof steel bodies may have some appeal, but they fare poorly in actual combat. 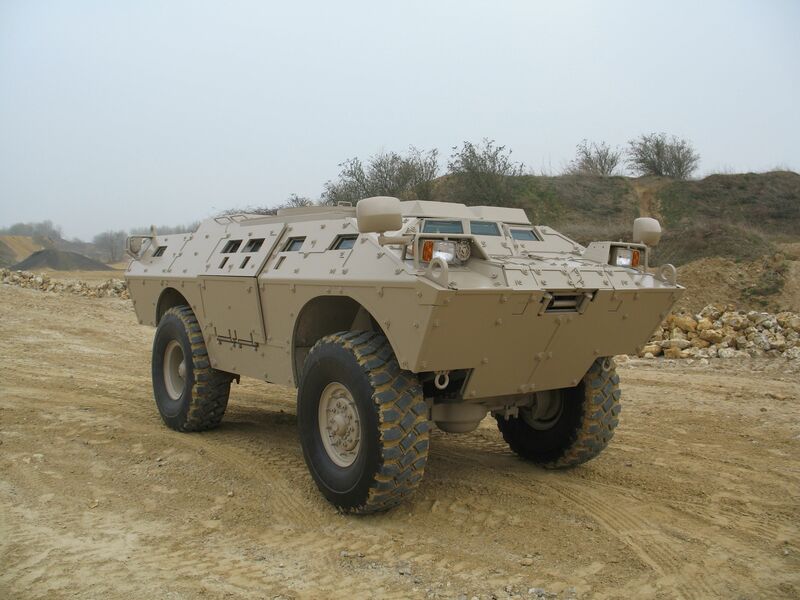 A better choice is the Dragoon, a 4×4 APC exclusively manufactured by Star Defense Logistics & Engineering (SDLE). 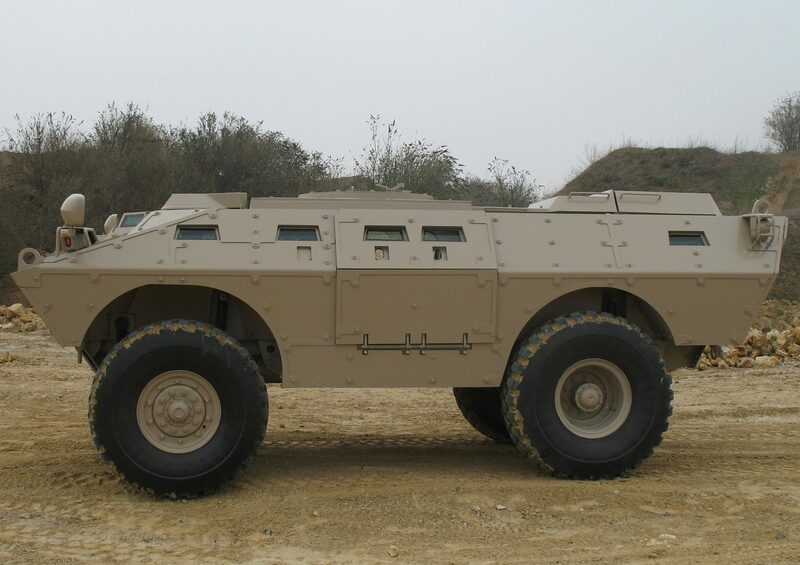 Not to be confused with the late Cadillac Gage’s V-series of armored cars, the Dragoon ASV is a multirole 4×4 meant for defending sensitive locations. This was its anointed role in the 1980s when its manufacturer AV Technology Corporation sold it to the US military. Aside from American police departments, small quantities of the Dragoon were exported to Thailand, Turkey, and Venezuela. When it was acquired by General Dynamics, the Dragoon’s production line was transferred to Europe where it was expected to find new customers. Although its production line remained dormant for nearly two decades it has been revived and improved by SDLE. This latest variant of the Dragoon merits serious attention. Weighing 15 tons fully loaded, the Dragoon 2 armored security vehicle (ASV) subscribes to a familiar layout (the cab up front, engine at the back) and fits three crew members with seating for eight. Its 350 horsepower engine gives it a top speed of 120 kilometers per hour over smooth terrain and the Dragoon 2 is also able to drive over water by its own propulsion, with its amphibious capacity managing 5.5 km/h. The Dragoon 2 is best suited for police and other security forces tasked with dangerous missions, like border surveillance and counter-terrorism. The Dragoon 2’s weight and dimensions allows it to fit inside a medium transport such as a C-130 or comparable aircraft. If it ever deploys with expeditionary forces, its ideal missions are broad and varied–from convoy protection to peacekeeping. Should it arrive in theater equipped with thermal cameras and a laser rangefinder, the Dragoon 2 makes for a superb scout vehicle over difficult geography, whether open desert or vast Savannah. In a pure law enforcement role, the Dragoon 2 excels as an anti-riot and rapid response vehicle for quelling local disturbances. 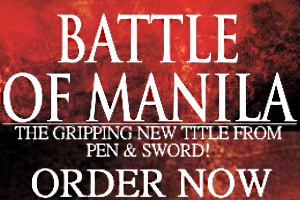 Its armor level is strong enough for defeating hand guns and rifles as well as explosive projectiles. Beyond its role as a protected transport, the Dragoon 2 can be equipped for combat. 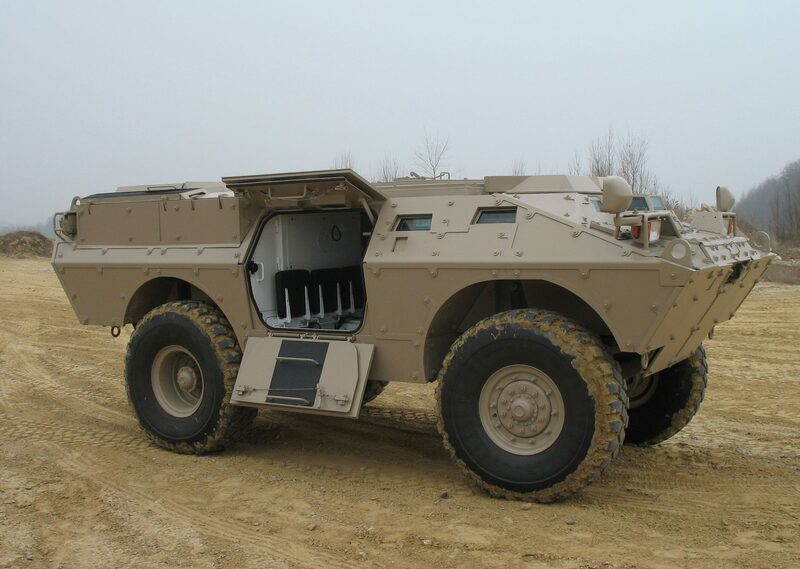 Even without a primary armament, each of the Dragoon 2’s folding side doors have firing ports so that its occupants can discharge their weapons from inside the vehicle. Its roof hatch is designed to support different kinds of turrets, be they ring mounts for a general purpose machine gun or a remote weapon station that offers total protection for the gunner who remains inside the hull. SDLE have already designed and developed installations for larger armaments on the Dragoon 2 such as 30mm cannon up to a 90mm gun. Should it be equipped with a large caliber main armament, the Dragoon 2’s firepower matches–and sometimes exceeds–a standard infantry fighting vehicle. For example, if the Dragoon 2 supported a 30mm chain gun chambered for a handful of different munitions its role as a troop carrier is augmented by the ability to provide direct fire support. Should a Cockerill 90mm low pressure gun ever be fitted onto the Dragoon 2, not only is there enough interior storage for its ammunition, but it serves as either a wheeled assault gun or tank destroyer comparable to the French ERC-90. The official performance characteristics of the Dragoon 2 are listed below.